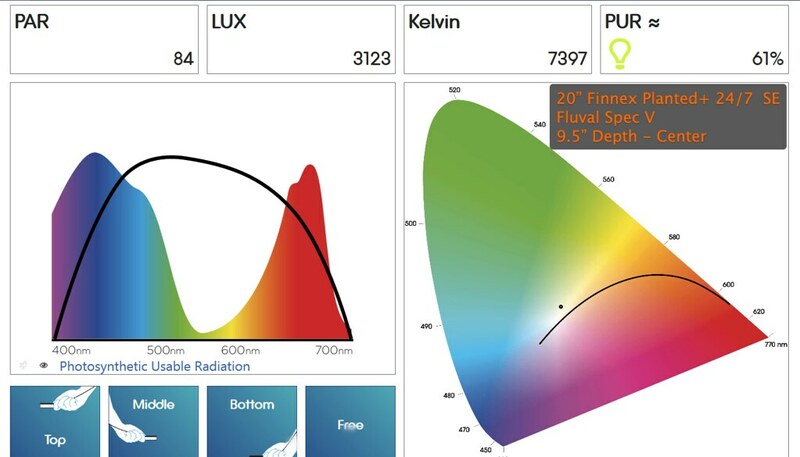 When I heard about the Planted+ 24/7 series that offers color and intensity control, I knew it would be worth looing into as an upgrade option. 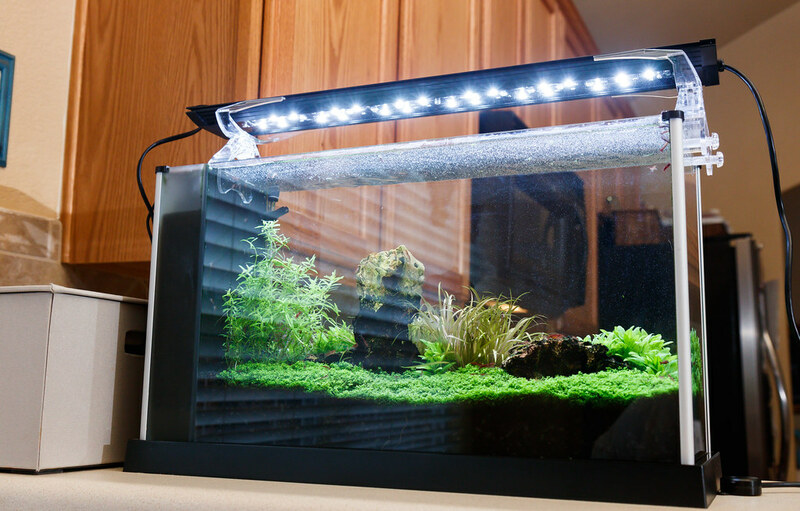 The main selling point of the Planted+ 24/7 SE aquarium light is it’s ability to vary both intensity and color. It is at the core a LED fixture very similar to the Planted+ model in that it mixes white LED’s and 660nm red LED’s. It adds color changing RGB LED’s to add the ability to change the resulting color output of the fixture. 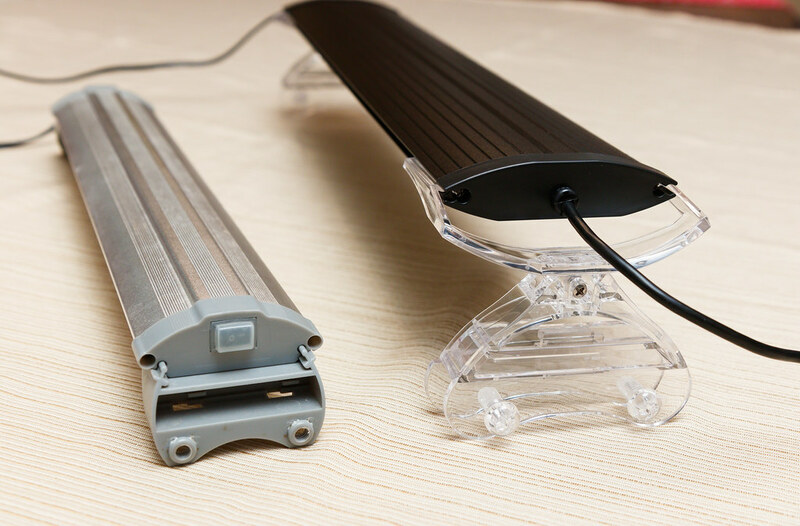 The 20” version has the following LED count: 24 white LED’s, 12 660nm red LED’s, and 16 color change LED’s. 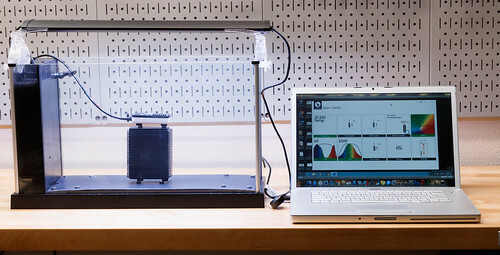 24/7 mode: This setting simulates lighting changes through the day from natural sunlight. It varies the light intensity and color though a 24 hour cycle starting with warm and dim light at dawn, peaking at full intensity at mid day, and reverting to warm and dim for sunset. The 24/7 cycle now (with this ‘SE’ version) goes to full darkness for 4 hours every night. There are four other lighting modes: Cloudy, Thunderstorm, Sunset, and Starry Moon Night. There are four memory buttons that let you dial in your own custom intensity and color. 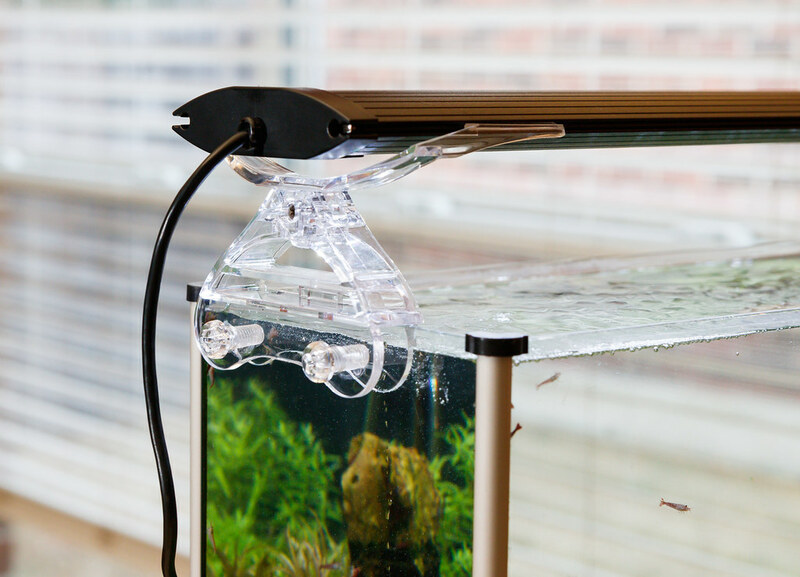 The light mount tilts to move the light out of the way, allowing easier access to the water (for feeding, maintenance, etc.). All light options are controlled with an IR remote. 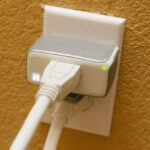 The receiver is separated from the light fixture and located at the end of a wire. Minimum glass mounting span: unlimited – the mounts slide full length so you can go very narrow. For this fixture, all measurements were at the ‘Max’ setting. 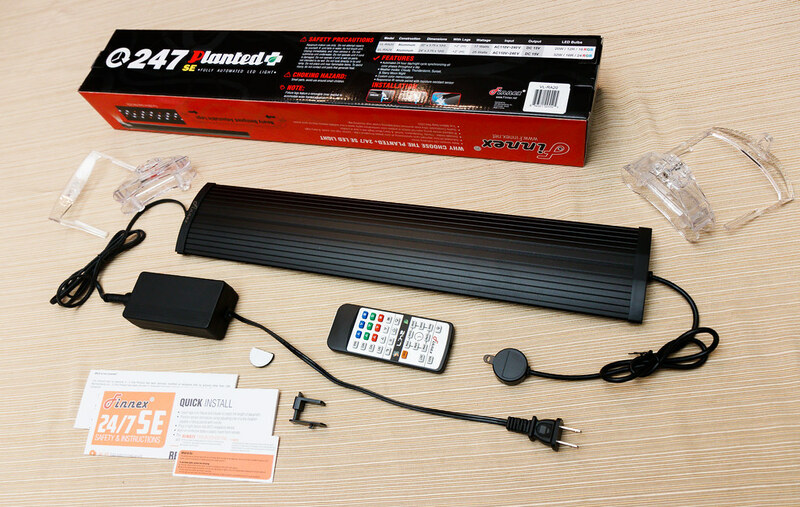 This sets all LED’s to their highest output. These results don’t make sense compared to any other fixture I have tested. Generally, PAR (and light intensity in general) are highest at the center, directly below the fixture, and is reduced as you move away from center. In this case, the center location PAR value of 82 is less than the corner PAR values (which average 105 PAR). The results were so unexpected that I setup and performed the test again thinking I had confused recording the results. The re-test resulted in almost exactly the same results. 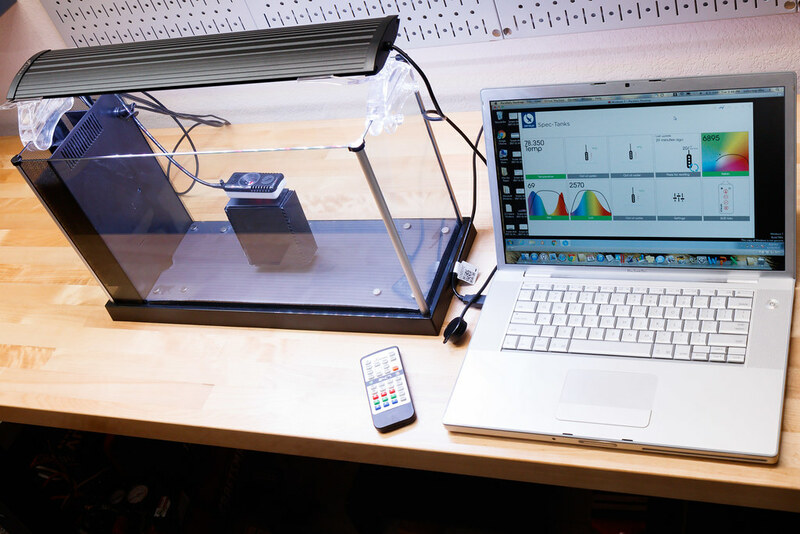 At the 9.5″ depth, PAR values are very even throughout. The center location is measured as slightly more intense than the corners, but not by much. Even light is a very good thing – it means that your plant layout will not be hindered by dark places at the edges and corners. The PUR light curve (left hand graph) is nice and fat, especially over the red spectrum. 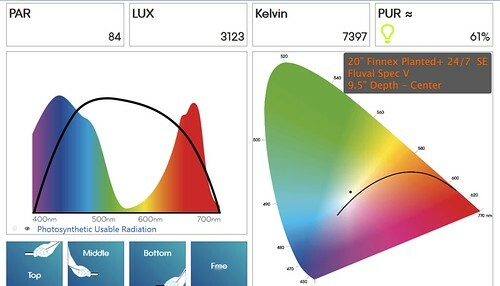 This confirms the fixture’s use of plant specific 660nm red LED’s. The Kelvin readings in the 7,000 range are a little ‘cooler’ than desired and are confirmed by my eyes. However, remember that this fixture has the color change LED’s. You can adjust downward the blue range (thus making the red’s and green’s appear more intense). 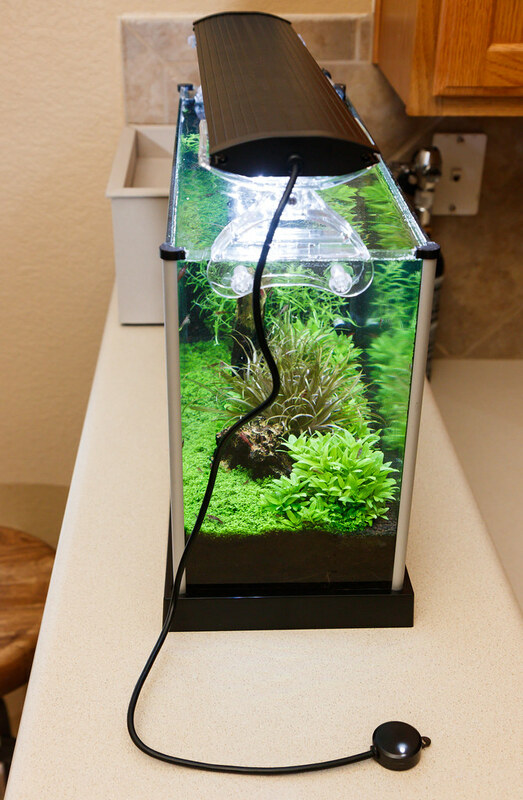 The PAR values confirm this fixture works well in a high light (high tech) planted tank. 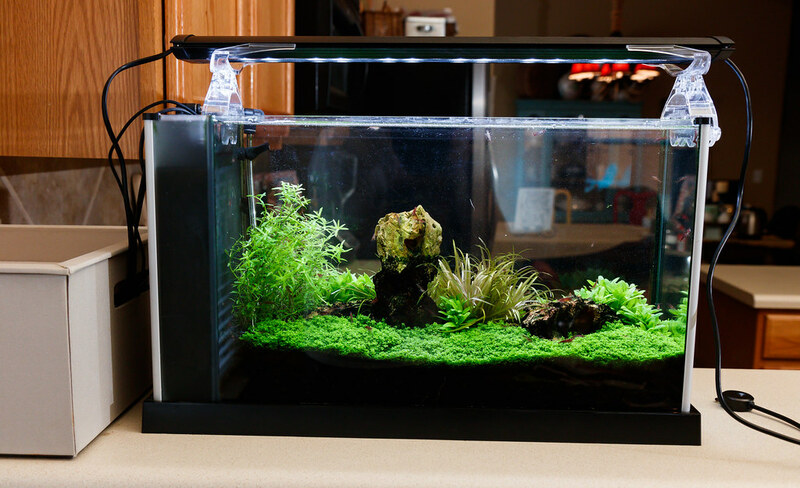 You can read my Basics of Planted Aquariums page to get a better understanding of how to match a light fixture’s PAR output to your tanks needs. 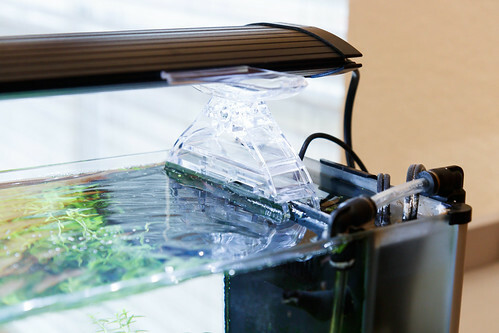 What makes this fixture great is the ability to make a custom setting that matches the light intensity needs of your tank. With a custom setting dimmed down, this light fixture would be a great match for a medium or even low light plant setup. I initially found the ‘blind spot’ observed (low measured PAR at the center, 5″ depth position) to be troubling. 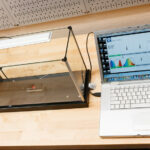 However, for most users in most aquarium geometries, this probably wouldn’t be an issue. At increasing depths, the fixture appears to have even light spread. The major selling feature of the Planted+ 24/7 series of lights is the automated night to daytime light cycle. I did try this feature out for a day or two. It is a neat feature and I can see how lots of people would want to use it. 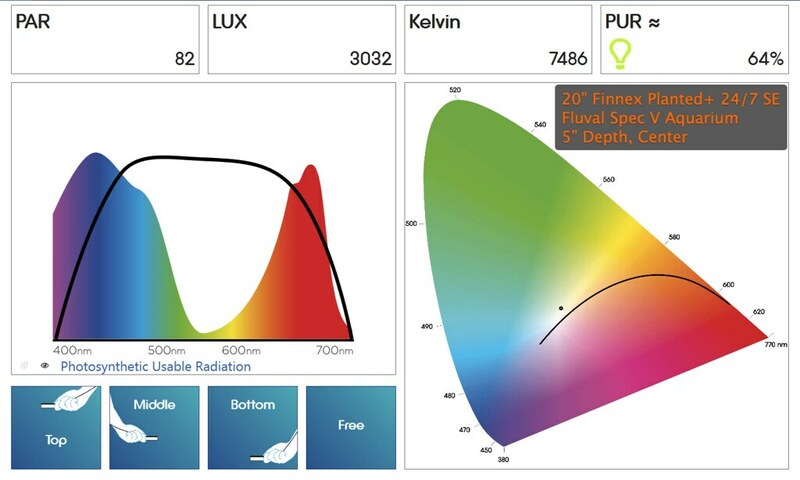 For lights that are not adjustable (like our Finnex Planted+) the light operation is one mode – it only has a single light intensity and color and is truly on/off in operation. I can only run that fixture for so many hours – in our case an 8 hour duration from 12:30 pm to 8:30 pm. The automated 24/7 feature adds many more hours of interest. In the morning and late evening you add times of very beautiful sunrises and sunsets. 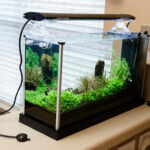 This creates a new dimension of enjoyment for your tank’s operation. With this added benefit, unfortunately, also comes with many negatives – at least from my perspective. When you select the fixture to operate in 24/7 mode, nothing is adjustable. You can’t change the total duration, you can’t change any of the light coloration (specifically, it would be nice to change the mid-day colors to personal preference). Most importantly, you cannot change the maximum light intensity that the fixture achieves. 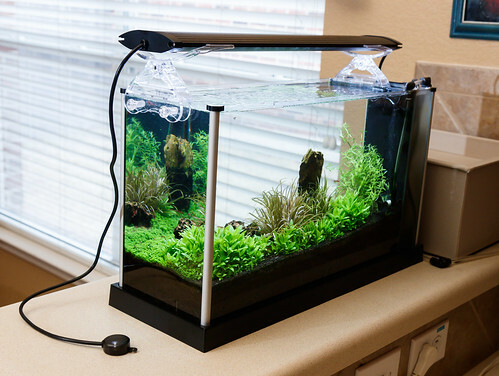 It works well for a high light tank, but the mid-day light intensity is too high for a low or medium light planted tank. Further, I find the constantly changing light intensity to be problematic when paired with a pressurized CO2 system. CO2 is injected at a (mostly) constant rate during it’s ‘on’ cycle. 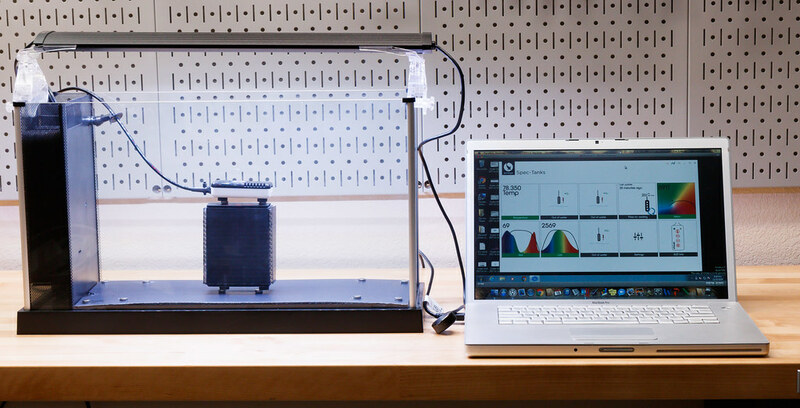 With a traditional light operation, the light intensity is also constant. With the 24/7 operation, however, the light intensity is constantly changing. Ideally, the CO2 bubble rate would need to ramp up and down to match the changing light intensity. This level of CO2 control is not feasible given current equipment available. It is for these reasons that the 24/7 operation is not a mode I find desirable for our planted aquarium. I think the build of this fixture is very good. The extruded aluminum construction is very nice. 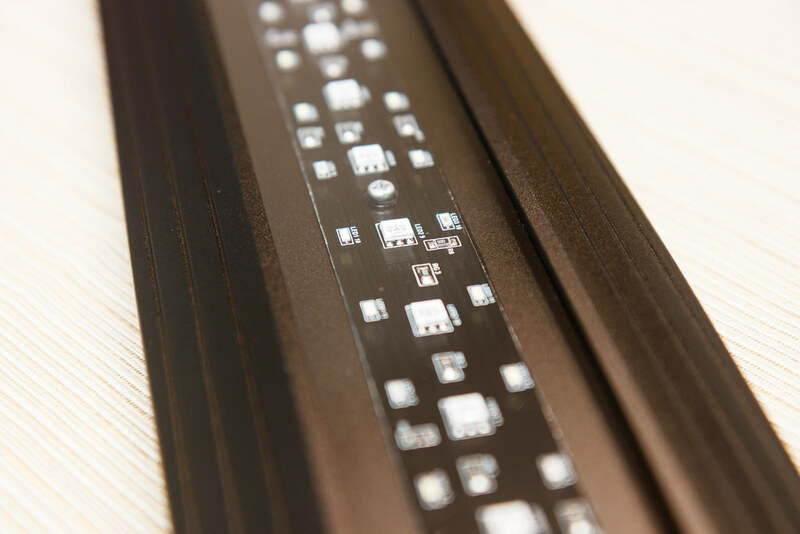 The LED array is thoughtfully arranged and seems high quality. 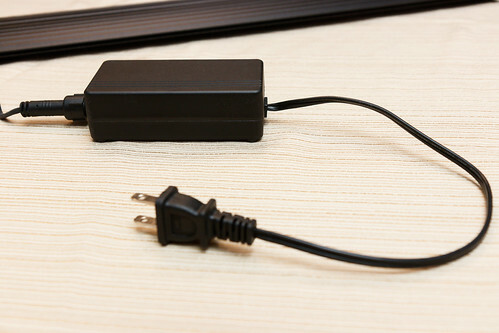 They improved on the old Planted+ model by adding a plug on the cord connection to the transformer box (from the light fixture). This can help those that are mounting and routing lights from a storage box or aquarium stand. The mounts offer good adjustment and look attractive; I say this with one caveat – the light width and the size of the mounts seem optimized for the larger lengths of this series (30″ and longer). On this smallest 20″ model the fixture seems a bit too wide and the mounts are excessively large and overly complex. 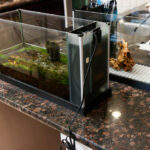 I will discuss this more later when I talk about fitment on a Fluval Spec V.
I consider the remote to be a negative. Technically it gets the job done, but the design and styling reminds me of something you would find in a 1980’s Radio Shack store (only American’s of a certain vintage will get this reference). 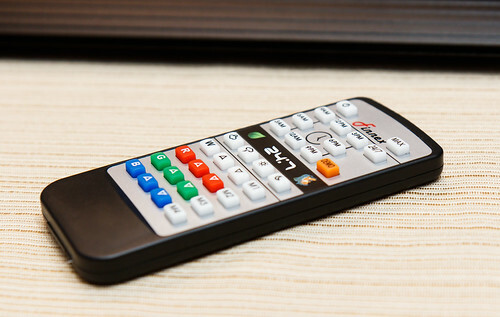 Looking at the remote makes me think of how I’d actually like the 24/7 feature to operate. I’d like to be able to customize the ramp up (sunrise phase), the mid-day phase, and the ramp down (sunset) phase. As an example, have the sunrise phase around 3 hours, have the mid-day phase be a custom setting (example – blue’s turned down a bit, overall intensity tweaked down to 80% of max), and sunset phase around 2 hours. The big reason you couldn’t achieve this level of adjustment is because of the limited remote – it would take an LCD screen of sorts and many more buttons. So why not ditch the remote entirely and replace with a bluetooth communication chip, develop phone apps, and allow all adjustments and programming through your phone or tablet. That would be cool! I’m almost hesitant to suggest this as the cost may be too high (although it wouldn’t have to be – bluetooth communication chips are not expensive) and I’m not sure Finnex has what it takes to pull this off. The biggest con of this light fixture, and it is a big shortfall, is the remote sensor they provided with the light. Inexplicably, Finnex decided to place the remote receiver not on the unit, but at the end of a long cord that comes out the end of the fixture opposite the power cord. I have no idea what they were thinking on this one. I can’t imagine a scenario where it’s ascetically the best option to have the remote receiver arranged like this. It looks awkward having a cord hanging off the end. They should have built the IR receiver into the top or end of the fixture. Maybe this would limit the angles that would receive signals from the remote; that is fine and would have been better than what they came up with. I will cut to the chase. 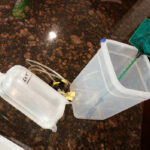 This fixture doesn’t work well at all on a Fluval Spec V aquarium. I had high hopes, but it has several shortfalls that make it incompatible and undesirable. 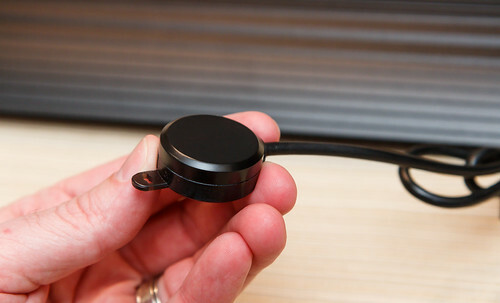 The stand provided is especially too bulky on this small 20″ size. The stand puts the fixture up higher than necessary (in my opinion) but the bigger issue is the stand seems overly complicated – visually too much going on. Then there is the issue of the remote sensor dongle / cord coming off the end of the fixture. One thing I love about the Spec V is that there are three sides that you can view the tank: front, back, and end. With cords on opposite ends, one of them will obscure the ‘end’ view (opposite the pump/filter section). 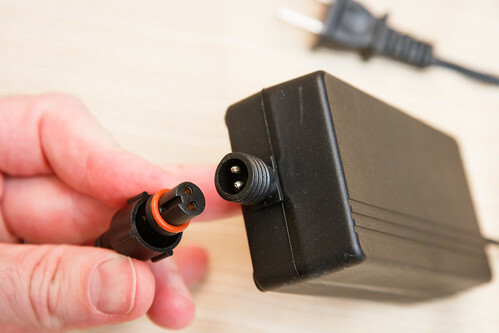 This looks horrible on the Spec V. It might not be as bad if they had both cords (power and sensor) coming out the same end (which you would put on the pump/filter end of the tank). There is a bigger issue that develops from the very large stands. The plastic stand is so wide that it conflicts with the divider between the pump and filter media sections making the light sit off-center and off-level. Are getting one of the larger sizes (30″, 36″, 48″) as the stands and width don’t work with the small scale of the 20″ model. Want adjustability of the light intensity and colors – this is the fixtures best feature. Or, you like the automated 24/7 feature to simulate the changing light of a full day. You can deal with the stupid remote sensor cord coming out the end. If the above criterion don’t fit, backing up to the older (and simpler) Planted+ may be a better fit. It is still in use as our light. There is a lot going on in their description, but I gather it offerrigs a greater level of customization for the 24/7 mode and implements many of the features I would want to use it every day in a planted tank. Even better is the next model introduced, the Finnex Planted+ 24/7 V2. This model has the ‘CC’ features but also has a very intreaging hardware improvement – they eliminated the remote sensor cord / dongle! In it’s place is a remote sensor built into the end of the fixture. Exactly what they should have done in the first place. All of that to say if you are considering the older Planted+ 24/7 SE I’d forego it in favor of the newer Planted+ 24/7 V2 as it is seems to be improved in every way. I hope to get ahold of one to test in the near future. This entry was posted in Product Reviews and tagged finnex, led light fixture, Planted +, planted aquarium, planted tank, planted+ 24/7 se. Bookmark the permalink. I picked this fixture up on Amazon. I was looking for a cheaper alternative to a Finnex light and had also read some negative reviews on their reliability. So far I’m pretty impressed after a months use. Maybe think about checking it out. Interesting! I like the price. The 24/7 CC is the same light with better mounting. It also has the IR receiver built into the light and the individual led intensity can be controlled throughout the day cycle. It seems to solve most of your issues with the light although it would be nice if it were bluetooth controlled via an app. Thank you for your par reviews. If you find yourself needing something to do I would really like to see in water par ratings at the substrate level. As I understand it, the V2 has the features you mention (receiver in endcap). The PAR results I posted are in water. Thanks! You have the best reviews! Very thorough and easy to understand. I got the Spec V and will be receiving the 24/7 V2 in a few days. Very good! I need to get one myself to see improvements are on the mark. 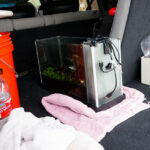 I just bought a spec v, but It is the version 1, I plan to breed red shrimp in This tank. I see you have done PAR testing, what can I grow with the v1 spec v light as it is? There must be some plants that will thrive with the stock lights. Thrive? If you put it by a window your plants may have a chance. Just search for low light plants and that’s the best I can offer. The V1 light puts out almost no PAR. Hahah , Ill start saving for a new lamp. I want java moss, and fern to grow. That finnex light is too pricy, ill start with a sansi led 15 watt growblamp above the tank for now. Any reason to believe the CC V2 PAR levels would be drastically different from the SE? I am just getting started with CO2 injection and I think this would be a good next level light. Have you heard anything about the PAR from the Fluval planted 3.0. Seems like very similar capabilities but adds Bluetooth control vs the vintage remote. I suspect the Finnex CC V2 has the exact same performance as the light reviewed here. The Fluval Planted 3.0 looks like a great alternative (on paper). They are too big for the Spec V (emphasis of this site) so not sure I will get one to test.